The three domains of life — archaea, bacteria, and eukarya — may have more in common than previously thought. 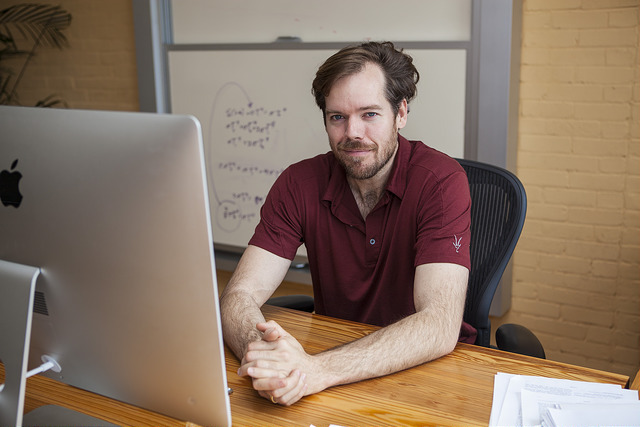 Over the past several years, Ariel Amir, Assistant Professor in Applied Mathematics at the Harvard John A. Paulson School of Engineering and Applied Sciences (SEAS) has been studying how cells regulate size. In previous research, he and his collaborators found that E. coli (bacteria) and budding yeast (eukaryote) use the same cellular mechanisms to ensure uniform cell sizes within a population. Now, with a team of collaborators including Ethan Garner, the John L. Loeb Associate Professor of the Natural Sciences at Harvard, and Amy Schmid, Assistant Professor of biology at Duke University, Amir found that archaea use the very same mechanism. The research is published in Nature Microbiology. 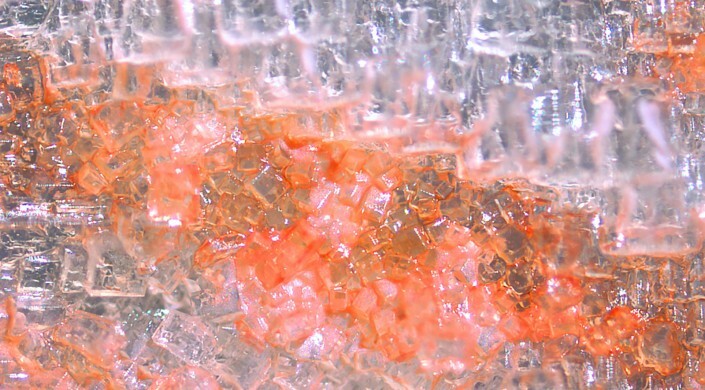 Archaea are single-celled microorganisms that inhabit some of Earth’s most extreme environments, such as volcanic hot springs, oil wells and salt lakes. They are notoriously difficult to cultivate in a lab and, as such, are relatively understudied. 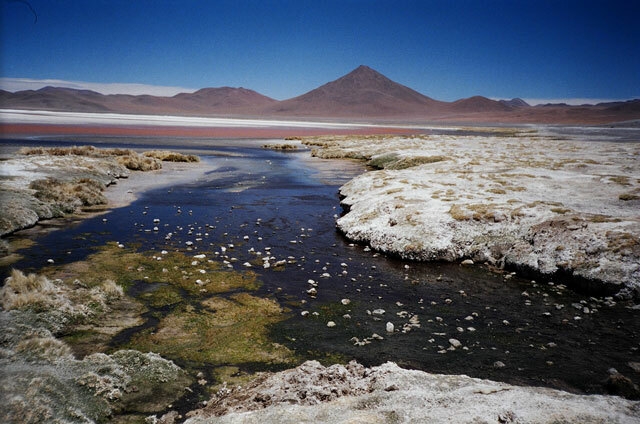 The researchers studied Halobacterium salinarum, an extremophile that lives in high-salt environments. They found that like bacteria and budding yeast, H. salinarum controls its size by adding a constant volume between two events in the cell cycle. However, the researchers found that H. salinarum are not as precise as E.coli and there was more variability in cell division and growth than in bacterial cells. This research was also coauthored by Po-Yi Ho, Minjeong Kim, Lars Renner, Salvatore LaRussa, and Lydia Robert. This research was supported in part by the National Institute of Health and the National Science Foundation. Origami-inspired muscles are both soft and strong, and can be made for less than $1. Now, researchers at the Harvard John A. Paulson School of Engineering and Applied Sciences (SEAS), the Wyss Institute at Harvard University and MIT’s Computer Science and Artificial Intelligence Laboratory (CSAIL) have created origami-inspired artificial muscles that add strength to soft robots, allowing them to lift objects that are up to 1,000 times their own weight using only air or water pressure. The study will be published this week in Proceedings of the National Academy of Sciences (PNAS). “We were very surprised by how strong the actuators [aka, “muscles”] were. We expected they’d have a higher maximum functional weight than ordinary soft robots, but we didn’t expect a thousand-fold increase. It’s like giving these robots superpowers,” said Daniela Rus, the Andrew and Erna Viterbi Professor of Electrical Engineering and Computer Science at MIT and one of the senior authors of the paper. “Artificial muscle-like actuators are one of the most important grand challenges in all of engineering,” said Robert J. Wood, corresponding author of the paper and the Charles River Professor of Engineering and Applied Sciences at the SEAS. “Now that we have created actuators with properties similar to natural muscle, we can imagine building almost any robot for almost any task.” Wood is also a Founding Core Faculty member of the Wyss Institute. Each artificial muscle consists of an inner skeleton that can be made of various materials, such as a metal coil or a sheet of plastic folded into a certain pattern, surrounded by air or fluid and sealed inside a plastic or textile bag that serves as the skin. A vacuum applied to the inside of the bag initiates the muscle’s movement by causing the skin to collapse onto the skeleton, creating tension that drives the motion. No other power source or human input is required to direct the muscle’s movement; it is determined entirely by the shape and composition of the skeleton. “One of the key aspects of these muscles is that they’re programmable, in the sense that designing how the skeleton folds defines how the whole structure moves. You essentially get that motion for free, without the need for a control system,” said first author Shuguang Li, a Postdoctoral Fellow at the Wyss Institute and MIT CSAIL. This approach allows the muscles to be very compact and simple, and thus more appropriate for mobile or body-mounted systems that cannot accommodate large or heavy machinery. 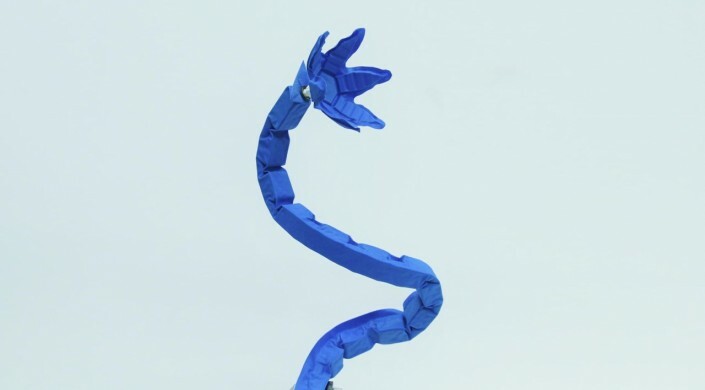 The team constructed dozens of muscles using materials ranging from metal springs to packing foam to sheets of plastic, and experimented with different skeleton shapes to create muscles that can contract down to 10 percent of their original size, lift a delicate flower off the ground, and twist into a coil, all simply by sucking the air out of them. Not only can the artificial muscles move in many ways, they do so with impressive resilience. They can generate about six times more force per unit area than mammalian skeletal muscle can, and are also lightweight; a 2.6-gram muscle can lift a 3-kilogram object, which is the equivalent of a mallard duck lifting a car. Additionally, a single muscle can be constructed within ten minutes using materials that cost less than $1, making them cheap and easy to test and iterate. “In addition to their muscle-like properties, these soft actuators are highly scalable. We have built them at sizes ranging from a few millimeters up to a meter, and their performance holds up across the board,” said Wood. 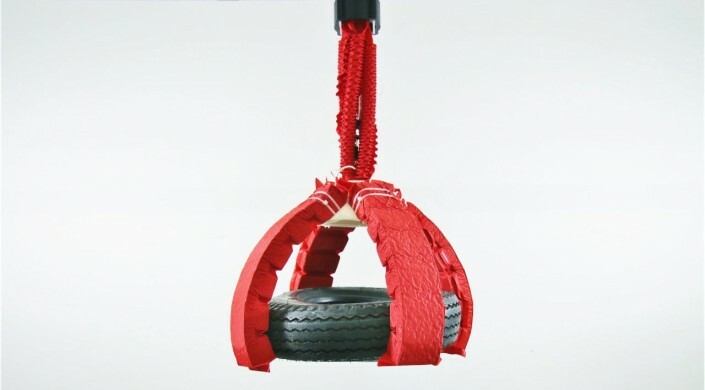 This feature means that the muscles can be used in numerous applications at multiple scales, such as miniature surgical devices, wearable robotic exoskeletons, transformable architecture, deep-sea manipulators for research or construction, and large deployable structures for space exploration. The team was even able to construct the muscles out of the water-soluble polymer PVA, which opens the possibility of robots that can perform tasks in natural settings with minimal environmental impact, as well as ingestible robots that move to the proper place in the body and then dissolve to release a drug. “The possibilities really are limitless. But the very next thing I would like to build with these muscles is an elephant robot with a trunk that can manipulate the world in ways that are as flexible and powerful as you see in real elephants,” said Rus. This research was funded by the Defense Advanced Research Projects Agency (DARPA), the National Science Foundation (NSF), and the Wyss Institute for Biologically Inspired Engineering. There’s nothing new thing under the sun — except maybe light itself. Over the last decade, applied physicists have developed nanostructured materials that can produce completely new states of light exhibiting strange behavior, such as bending in a spiral, corkscrewing and dividing like a fork. These so-called structured beams not only can tell scientists a lot about the physics of light, they have wide range of applications from super resolution imaging to molecular manipulation and communications. Now, researchers at the Harvard John A. Paulson School of Engineering and Applied Sciences have developed a tool to generate new, more complex states of light in a completely different way. The new metasurface connects two aspects of light, known as orbital angular momentum and circular polarization (or spin angular momentum). Polarization is direction along which light vibrates. In circularly polarized light, the vibration of light traces a circle. Think about orbital angular momentum and circular polarization like the motion of a planet. Circular polarization is the direction in which a planet rotates on its axis while orbital momentum describes how the planet orbits the sun. The fact that light can even carry orbital momentum is a relatively recent discovery — only about 25 years old — but it’s this property of light which produces strange new states, such as beams in the shape of corkscrews. Previous research has used the polarization of light to control the size and shape of these exotic beams but the connection was limited because only certain polarizations could convert to certain orbital momentums. This research, however, significantly expands that connection. “This metasurface gives the most general connection, through a single device, between the orbital momentum and polarization of light that’s been achieved so far,” said Robert Devlin, co-first author of the paper and former graduate student in the Capasso Lab. The device can be designed so that any input polarization of light can result in any orbital angular momentum output — meaning any polarization can yield any kind of structured light, from spirals and corkscrews to vortices of any size. And, the multifunctional device can be programmed so that one polarization results in one vortex and a different polarization results in a completely different vortex. One potential application is in the realm of molecular manipulation and optical tweezers, which use light to move molecules. The orbital momentum of light is strong enough to make microscopic particles rotate and move. Another application is high-powered imaging.  The black hole in the center of the vortex, known as the zero-light intensity region, can image features smaller than the diffraction limit, which is usually half of the wavelength of light. By changing the polarization of light, the size of this center region can be changed to focus different-sized features. But these beams can also shed light on fundamental questions of physics. The paper was co-authored by J.P. Balthasar Mueller and supported in part by the Air Force Office of Scientific Research. Before she arrived on campus this fall, Harvard freshman Maya Burhanpurkar already had a notch in her belt typically reserved for Ph.D. candidates. First author of a paper on a low-cost, self-driving technology for power wheelchairs, Burhanpurkar presented the research at the 2017 IEEE International Conference on Rehabilitative Robotics. Sharing her work with hundreds of scientists from around the world was exhilarating, Burhanpurkar said, and another milestone in a research career that began at age 7. “I was always asking questions. 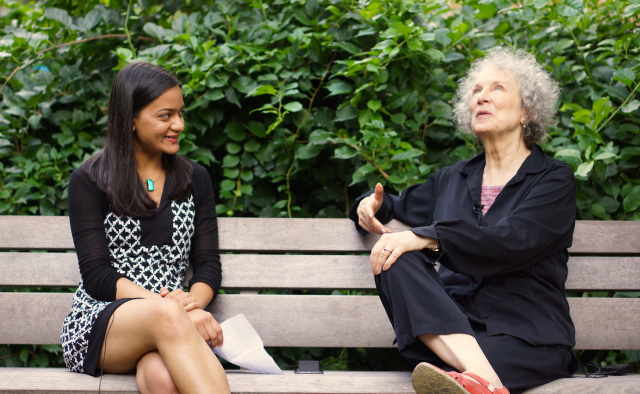 Eventually, I started asking questions people didn’t have answers to, so I started doing my own projects,” she said. The intrepid elementary school student, who grew up in a rural town 100 miles north of Toronto, set out to determine if herbs could kill pathogenic bacteria. She commandeered a piece of raw chicken meant for that night’s dinner, left it on the deck for a few days, and then swabbed it onto Petri dishes. In her basement microbiology laboratory, she piled herbs onto the Petri dishes and put them into a homemade incubator she built with a cooler and electric blanket. 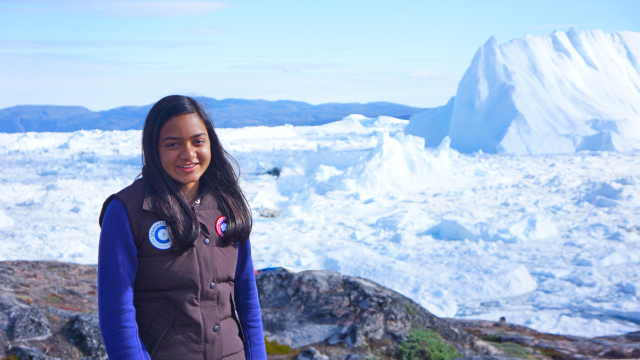 At Canada’s National Science Fair, Burhanpurkar showcased her incredible results—no bacterial growth meant the herbs must have killed the bacteria. A Science Fair judge quickly, but kindly, pointed out that the bacteria actually died due to suffocation. That experience only fueled Burhanpurkar’s desire to conduct more research. She began contacting professors and, while in ninth grade, joined a University of Toronto lab to build an apparatus that can physically detect the time integral of distance. The project earned her a second Grand Platinum award at the National Science Fair. 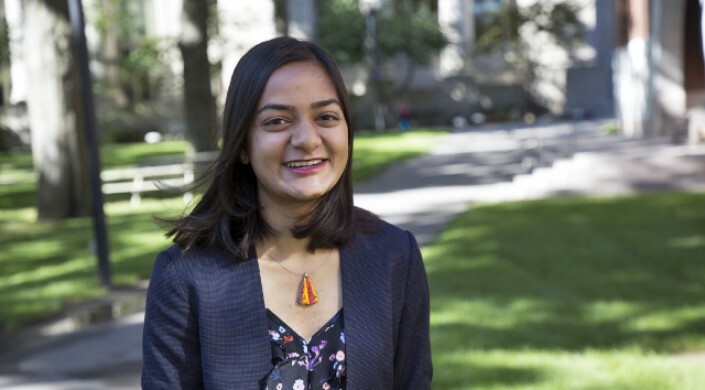 Not even an early acceptance by Harvard could disrupt her focus on research; Burhanpurkar deferred admission to work on the self-driving wheel chair technology during a gap year. Her University of Toronto team sought to develop a hardware and software package that would make it easier for people with severe physical disabilities to use power wheelchairs. Burhanpurkar developed a core part of the software for the semi-autonomous system that is capable of localization, mapping, and obstacle avoidance. The software utilizes off-the-shelf computer vision and odometry sensors rather than expensive 3D laser scanners and high-performance hardware, so it is more cost-effective than other devices, Burhanpurkar said. Despite her lack of coding experience, she wrote a specialized path-planning algorithm that enables autonomous doorway detection and traversal simply by placing the wheelchair in front of a door. She also helped develop software for autonomously traveling down long corridors, and docking at a desk, typically very difficult tasks for users with upper body mobility impairments. But that was only half of Burhanpurkar’s gap year. She spent the other half as the youngest paid researcher at the Perimeter Institute for Theoretical Physics (where Stephen Hawking keeps an office), writing super-fast algorithms for a novel telescope in British Columbia. The telescope will continually map the entire northern hemisphere in an effort to learn more about cosmic fast radio bursts. Each day, the planet is bombarded by high-energy millisecond duration bursts of radio waves, each having the energy of 500 million of our suns, but scientists remain puzzled about their origins. This new telescope will enable researchers to gather data on thousands of these bursts, opening the door for more detailed analysis. Terabytes of astronomical data will be generated each second, so the super-fast algorithms Burhanpurkar and the team wrote are necessary to efficiently process the mass of information. Now at Harvard, Burhanpurkar is not planning to slow down. She is interested in continuing her robotics research and working with the i-Lab to bring the cost-effective self-driving wheelchair technology to consumers. While she hasn’t decided on a concentration, she is considering computer science and physics (or both), and looks forward to pursuing her passion for research down new avenues. Jennifer A. Lewis, a Core Faculty member of the Wyss Institute of Biologically Inspired Engineering and the Hansjörg Wyss Professor of Biologically Inspired Engineering at the Harvard John A. Paulson School of Engineering and Applied Sciences has been elected to the National Academy of Engineering (NAE). Lewis’ research focuses on the design and fabrication of functional, structural and biological materials. Her pioneering work in the field of microscale 3D printing is advancing the development of electronics, soft robotics, lightweight structures, and vascularized human tissues. Lewis is an inventor on more than 40 pending or issued patents and founded the startup company Voxel8, Inc., to commercialize the first multi-material 3D printing for the fabrication of embedded electronics. Lewis earned a Sc.D. in Ceramic Science from the Massachusetts Institute of Technology. Her many honors include the NSF Presidential Faculty Fellow Award, the Brunauer and Sosman Awards from the American Ceramic Society, the Langmuir Lecture Award from the American Chemical Society and the Materials Research Society Medal. She is a Fellow of the American Ceramic Society, the American Physical Society, the Materials Research Society, the National Academy of Inventors and the American Academy of Arts and Sciences. Individuals in the newly elected class will be formally inducted during a ceremony at the NAE’s annual meeting in Washington, D.C., on Oct. 8, 2017. The Wyss (pronounced “Veese”) Institute for Biologically Inspired Engineering uses Nature’s design principles to develop bioinspired materials and devices that will transform medicine and create a more sustainable world. Working as an alliance among Harvard’s Schools of Medicine, Engineering, and Arts & Sciences, and in partnership with Beth Israel Deaconess Medical Center, Boston Children’s Hospital, Brigham and Women’s Hospital, Dana Farber Cancer Institute, Massachusetts General Hospital, the University of Massachusetts Medical School, Spaulding Rehabilitation Hospital, Tufts University, and Boston University, the Institute crosses disciplinary and institutional barriers to engage in high-risk research that leads to transformative technological breakthroughs. Climate change will affect every American in the coming decades — the question is, to what degree? So, the climate is getting warmer. Who cares? Climate change has a PR problem in America. For decades, we called it ‘global warming,’ an innocuous-sounding phrase invoking a gentle increase in worldwide temperatures, like turning up the thermostat in a house. It’s been difficult to get Americans worried about a 1-degree increase in temperature over a 100-year period, especially when most of the images associated with global warming — crumbling ice sheets or a lonely polar bear padding across a melted landscape — feel so distant. But climate change is here. Mitigating the effects of global warming — better described as irreversible changes to the climate structure — is about more than saving the planet in the longer term; it’s about saving human lives in the near term. 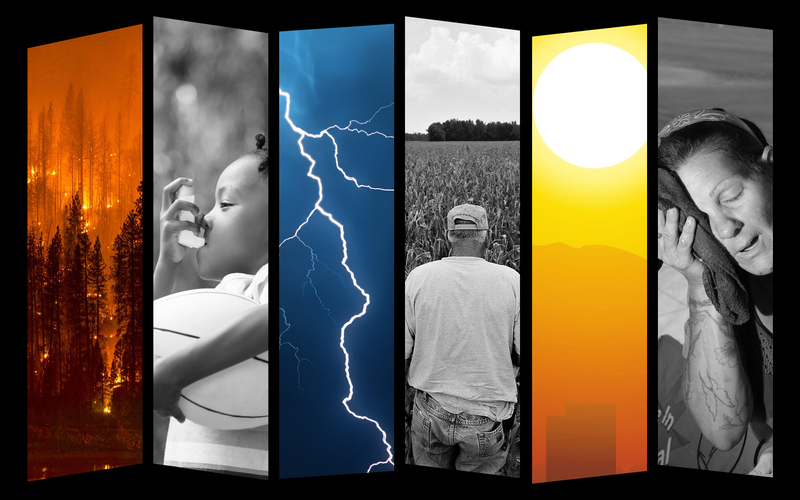 From severe storms and catastrophic flooding to record-breaking droughts and deadly wildfires, Americans are living with the consequences of a changing climate every day. Still, the majority of Americans did not believe climate change would harm them personally, according to a Yale University study [no citation]. That connection — between climate change and human health — has been, in large part, missing from public conversations and political debate in America today. Researchers at the Harvard John A. Paulson School of Engineering and Applied Sciences (SEAS) are exploring that connection between human health and a changing climate. Among their findings: In Pennsylvania, days with dangerously high surface ozone levels could increase by 100 percent in the coming decades, increasing the risk of asthma and other respiratory diseases in children. Wildfires in Washington could choke densely populated areas for days with thick, harmful smoke. Severe storms in Texas, Oklahoma, Nebraska, Iowa, the Dakotas and adjoining states could deplete protective ozone in the stratosphere, exposing humans, livestock and crops to harmful ultraviolet radiation. If the world were to cut all of its carbon emissions tomorrow, temperatures have already risen enough to cause more severe and prolonged heat waves. Extreme heat has serious impact on human health. Depending on humidity levels, prolonged exposure to 100-plus degree days can lead to heat stroke and dehydration, as well as cardiovascular, respiratory, and cerebrovascular diseases. In the past decade, extreme heat waves in the U.S. have killed hundreds of people, mostly elderly and poor in urban areas, and cost tens of billions in damage. Northern cities, such as Chicago, New York, Philadelphia and Boston, which are less prepared to deal with excessive temperatures, will likely face the brunt of the public health burden of heat waves in coming years. With little ability to stop future heat waves, the best option to mitigate damage is preparation. Improving our ability to accurately predict heat waves can save lives. Most current models cannot forecast beyond about 10 days and seasonal models have limited ability to predict extreme events. In 2012, for example, the National Weather Service’s Climate Prediction Center forecasted normal summer temperatures in the Northeast and Midwest U.S. Instead, the regions experienced three separate, record-breaking heat events in June and July that resulted in more than 100 deaths. Peter Huybers, Professor of Earth and Planetary Sciences in the Department of Earth and Planetary Sciences and of Environmental Science and Engineering at SEAS, is working to understand and predict these deadly temperature spikes. Huybers and his lab identified sea surface temperature patterns that can predict increased odds of extreme heat waves in the eastern U.S. up to 50 days in advance. Those patterns — like a fingerprint on the surface of the Pacific Ocean — consistently precede heat waves in the eastern U.S. The Huybers team found that lack of precipitation, which is known to contribute to heat waves, is also associated with this finger print — known as the Pacific Extreme Pattern. While it does not guarantee that a heat wave will strike, seeing this pattern significantly increases the odds of one happening. Huybers and his colleagues are continuing to research this connection, pushing the horizon on predicting summer heat waves in the eastern U.S.
With more time to prepare, utility companies could ensure they have enough power options to deal with a spike in demand; farmers could alter irrigation tactics to prevent crop loss; city planners could set up cooling spaces for the elderly or those without air conditioners and step up programs to track homeless people and homebound, chronically ill older Americans. As the air warms due to global climate change, Northeastern urban and suburban areas could also see an increase in ground level ozone — the nasty chemical compound that makes up the majority of smog, especially in summer. Ground level ozone is created by chemical reactions involving oxides of nitrogen (NOx), volatile organic compounds (VOCs) and sunlight. Factories, power plants and cars produce most of the NOx in the U.S.
Ozone is well known to cause serious respiratory illness and is especially dangerous for children, seniors, and people suffering from asthma. It’s easy to feel helpless and overwhelmed in the face of global climate change but legislative action can make a difference when it comes to the environment. Elsie Sunderland, the Thomas D. Cabot Associate Professor of Environmental Science and Engineering, found that regulations requiring the reduction of mercury emissions had a larger impact on the environment than researchers previously thought. 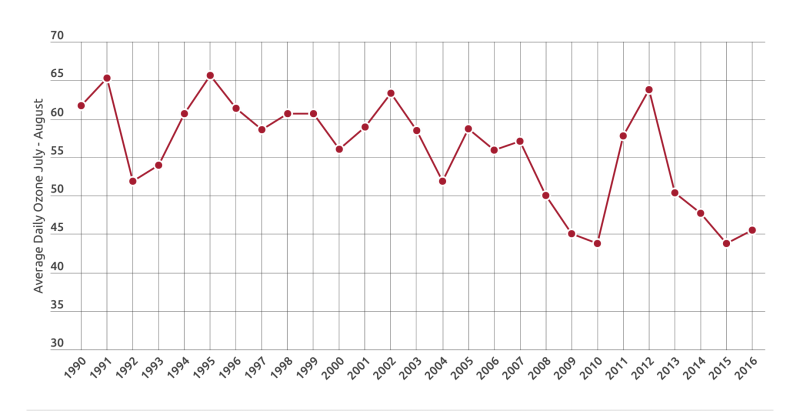 Between 1990 and 2010, global mercury emissions from manmade sources declined 30 percent. The reduction in atmospheric mercury was most pronounced over North America, where mercury had been gradually phased out of many commercial products and controls were put in place on coal-fired power plants that removed naturally occurring mercury from the coal being burned. Researchers have long known that temperature and ozone are linked — the hotter the temperature, the higher the ozone levels. However, researchers have also established that if the temperatures rise above the mid-90s Fahrenheit, this relationship can break down. So, the question is: how will rising global temperatures impact the severity and frequency of days with dangerously high levels of ground ozone, known as ozone episodes? Mickley and her team are unraveling the complex relationship between ozone and rising temperatures in the U.S. In 2016, graduate student Lu Shen and Mickley found that if local and global emissions continue unchecked and temperatures rise as projected, the U.S. could see a 70- to 100-percent increase in dangerous ozone episodes, depending on the region. The Northeast, California and parts of the Southwest, would be most affected, experiencing up to nine additional days per year of unhealthy ozone levels in the next 50 years. 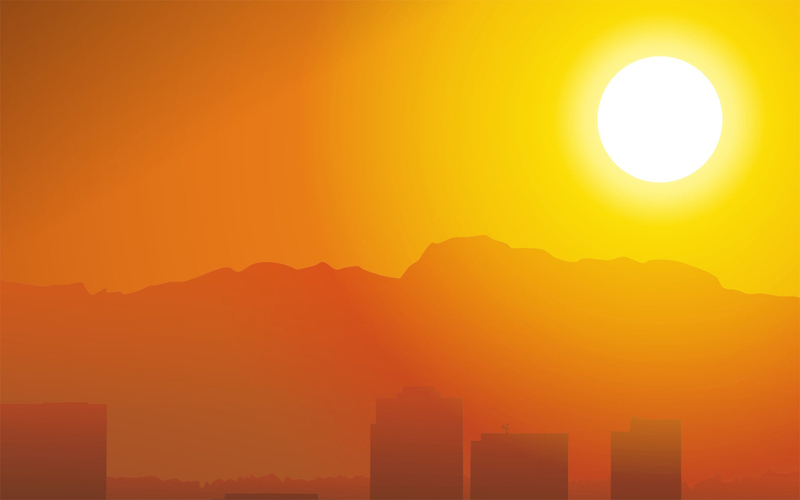 The rest of the country could experience up to three additional days of unhealthy ozone. What does that mean for health in the U.S.? Hospital admissions and emergency department visits would increase, cases of chronic respiratory conditions, such as asthma and chronic bronchitis, would increase, and more people could die from respiratory illness. “We need ambitious emissions controls to offset the potential of more than a week of additional days with unhealthy ozone levels,” said Mickley. The good news is, we’ve already seen the powerful effect regulation has on ozone levels in the U.S. Between 1990 and 2016, ozone levels decreased significantly, especially on the east coast, thanks to the Clean Air Act and its amendments, which targeted ozone precursors. The bad news is that high temperatures can upend that trend. The graph shows 15 years of surface ozone measurements in Madison County, Illinois. Since 1990, ozone decreased over time due to the powerful Clean Air Act and its amendments, which reduced emissions of ozone precursors. But very hot temperatures — as seen in 2012 — buck that trend. A similar pattern was seen at measuring sites across the country. A full, interactive map is available here. Mickley and her team are also developing tools to predict when and where Americans are most at risk for increased levels of ozone in the short-term. The researchers found that high levels of summertime ozone in the Eastern U.S. are correlated with large-scale meteorological patterns in the spring, including sea surface temperatures. The team used this relationship to predict average summertime ozone levels one season in advance. As temperatures increase and more water vapor evaporates into the atmosphere, storms will become more frequent and more intense — especially in the Midwest. Flooding and damage associated with these storms is a threat to the lives and livelihood of the 60 million people living in the Midwestern states, especially farmers who rely on predictable rainfall patterns. 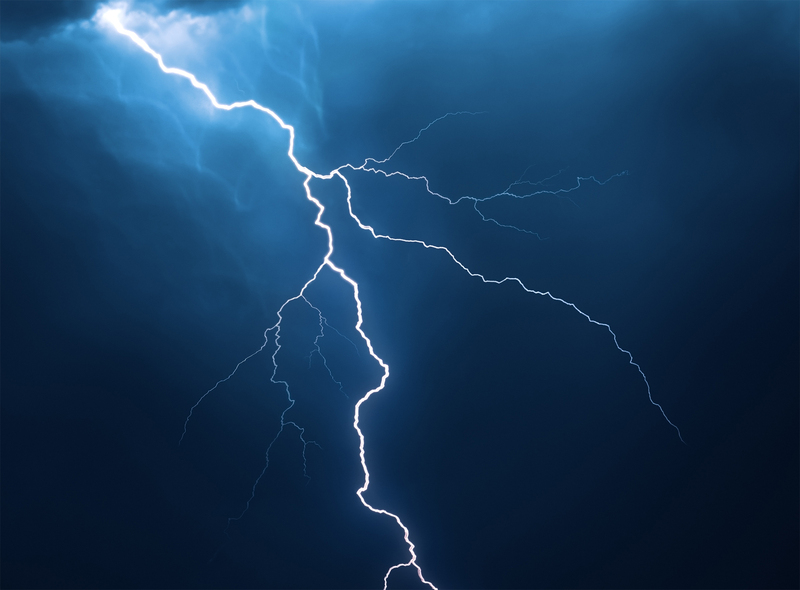 But the intensity of these storms, combined with factors unique to the Great Plains region, may also damage the protective ozone layer that shields life on Earth from harmful ultraviolet radiation. James G. Anderson, the Philip S. Weld Professor of Atmospheric Chemistry at SEAS and the Department of Earth and Planetary Sciences, is studying this phenomena. In 2012, his team discovered that during intense summer storms over the Midwest, water vapor from these storms is injected deep into the stratosphere. By studying ozone loss over the Arctic in winter, Anderson and his collaborators established that combinations of both temperature and water vapor convert stable forms of chlorine and bromine into free radicals capable of transforming ozone molecules into oxygen, implicating storm-injected water vapor in the loss of ozone over the U.S. in summer. By using advanced radar techniques, Anderson and his team, including researchers at Texas A&M and the University of Oklahoma, recently found that thousands of storms each summer penetrate the stratosphere to provide fuel for these reactions — far more than previously thought. “Rather than large, continental scale ozone loss that occurs over the polar regions in winter, these radar observations and our new high accuracy, high spatial resolution temperature measurements found that the structure of ozone loss in the central U.S. is highly localized over numerous regions,” said Anderson. These reactions, depending on the temperature of the stratosphere, could trigger a 12- to 17-percent decrease in ozone in the lower stratosphere one week after a storm. This corresponds to a 2- to 3-percent decrease in stratospheric ozone in the region of enhanced water vapor. Even a 1-percent decrease in stratospheric ozone can lead to a 3-percent increase in skin cancer in humans – there are three and a half million new cases of skin cancer diagnosed each year in the U.S. alone. Since ultraviolet radiation also impairs the molecular chemistry of photosynthesis, such a change could also have a major effect on agriculture in the Midwest. “This isn’t about just human health, this is about crop yields, livestock, and the ability to function for extended periods outside in the summer,” said Anderson. Anderson and his lab are developing new platforms to observe this phenomena in action. Central to that effort is a research platform called the StratoCruiser, a super-pressure balloon designed to collect data at an average of 75,000 feet — well into the stratosphere. Powered by an array of solar cells, the StratoCruiser will fly above the central U.S. for four to six weeks, collecting data on how water vapor injected into the stratosphere alters the properties of particles and initiates the series of chemical reactions that destroy ozone. Anderson and his team are developing sensing instruments sturdy enough to withstand winds and rain from intense convective storms yet lightweight enough to allow the instrument package, suspended on a Kevlar filament below the balloon, to sample air between 40,000ft and 75,000ft. The instruments have to work at temperatures ranging from minus 120 degrees to plus 90 degrees Fahrenheit, withstand the low pressure of the upper atmosphere, power themselves and operate autonomously for the six-week mission. SEAS undergraduates in Anderson’s Engineering Problem Solving and Design Project (ES 96) are playing an important role in solving these design challenges. The student team who designed a spectrometer that measures hydrochloric acid (HCl) in the atmosphere was awarded $200,000 from NASA’s Undergraduate Student Instrument Project grant. The new instrument will be launched by NASA fall 2017 from Ft. Sumner, New Mexico. Another ES 96 project for undergraduates involves designing and building a new class of instruments to measure free radicals and other reactive species from solar powered stratospheric aircraft. These instruments, which will collect data over the U.S. continuously for three months, will provide the ability to forecast the amount of UV radiation projected for specific regions of the Great Plains states in summer. The solar powered stratospheric aircraft can also circumnavigate the globe to obtain observations related to the response of the climate structure to increasing levels of carbon dioxide and methane. One of the biggest questions Anderson and others want to answer is whether or not the process of ozone depletion is reversible. Anderson knows how well-communicated science can spur action on climate change. It was his research in the late 1980s that finally proved the link between chlorofluorocarbons (CFCs) from aerosol cans, air conditioners and refrigerators and the Antarctic ozone hole. The discovery was the key step towards public acceptance of the connection, which ultimately led to the phase-out of CFCs under 197-country Montreal Protocol signed in 1987. In 2016 alone, more than 67,000 wildfires burned over 5.5 million acres in the U.S., an area equivalent to the size of New Jersey. If global warming continues on pace, the models predict that by 2050 the wildfire season in the western U.S. will be about three weeks longer, twice as smoky, and will burn more area. 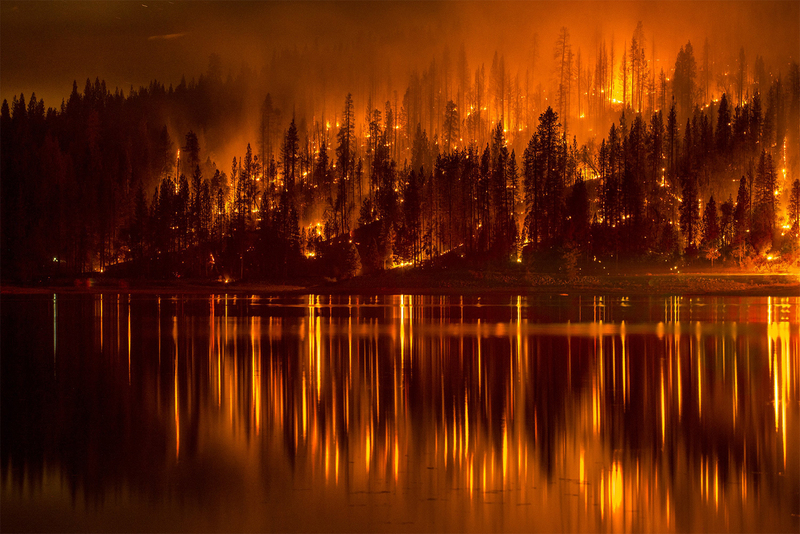 In the coming decades, the area burned in August could increase by 65 percent in the Pacific Northwest; could nearly double in the Eastern Rocky Mountains/Great Plains; and quadruple in the Rocky Mountains Forest region. Liu, JC, LJ Mickley, MP Sulprizio, X Yue, K Ebisu, GB Anderson, R Khan, ML Bell. 2016. Particulate Air Pollution from Wildfires in the Western US under climate change. Climatic Change. 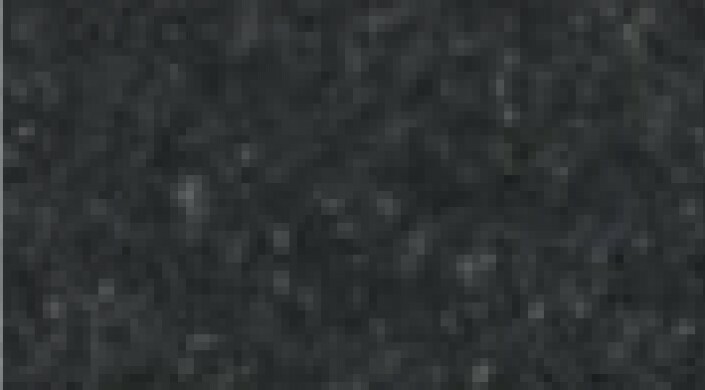 138 (3): 655-666. View the interactive map here. But wildfires threaten more than land and homes. The smoke they produce contains particles that can contaminate the air hundreds of miles away. As wildfires increase in frequency and intensity, more and more communities are at risk of prolonged exposure to harmful levels of smoke, including heavily populated areas such as California’s San Francisco, Alameda, and Contra Costa counties, and King County in Washington. Mickley and the Atmospheric Chemistry Modeling Group are developing tools to predict how wildfires will impact air quality. The work is part of a collaboration with Yale University. Between 2004 and 2009, about 57 million people in the western U.S. experienced a smoke wave, a term Mickley and her colleagues coined to describe two or more consecutive days of unhealthy levels of smoke from fires. Between 2046 and 2051, the team estimated more than 82 million people are likely to be affected by smoke waves, mostly in Northern California, Western Oregon and the Great Plains, where fire fuel is plentiful. All across the western U.S., climate change will likely cause smoke waves to be longer, more intense, and more frequent. About 13 million more children and seniors — who are at higher risk for respiratory illness — will be affected by smoke waves compared with the present day. Mickley and her team have developed a model to predict, at the county level, areas most at risk for smoke waves. The model would allow local governments or the U.S. Forest Service to prioritize these areas in fire mitigation efforts such as clearing out dry underbrush or performing controlled burns. For nearly 20 years, the GEOS-Chem global transport model has provided hundreds of research groups around the world insight into the chemical composition of the atmosphere and how it is being impacted by human activity. Developed by Daniel Jacobs, the Vasco McCoy Family Professor of Atmospheric Chemistry and Environmental Engineering at SEAS and the Department of Earth and Planetary Sciences, and housed at Harvard University, the open source model is an international standard for modeling pollution. Since its inception, the model has been used to understand the global biogeochemical cycling of mercury; the intercontinental transport of air pollution, which is critical to EPA’s setting of air quality standards; and has added considerably to the knowledge of worldwide emissions of pollutants and climate gases. It’s not just the continental U.S. that is facing health consequences from global climate change. Alaska, Hawaii and many American territories are on the front lines of climate change. In 2016, a DC-8 loaded with scientific instruments took off from Palmdale, California, ascending through a sky thick with wildfire smoke and smog from nearby Los Angeles. It was a fitting start to the first leg of the Atmospheric Tomography Mission (ATom), led by Steven C. Wofsy, the Abbott Lawrence Rotch Professor of Atmospheric and Environmental Science at SEAS and the Department of Earth and Planetary Sciences. Since 2016, the ATom mission has made two trips around the world — pole to pole — taking atmospheric measurements to understand how pollution and greenhouse gasses move through the atmosphere. The ATom mission, in partnership with NASA, will fly a total of four trips around the world. The data it collects will help improve the accuracy of the environmental models that inform climate policies. That first leg gave the research team a sobering view of the scope of climate change in America and American territories. Several hours after leaving the searing heat and wildfires of California, the team flew over Alaska, where large dark pools of water disrupted what should have been a continuous sheet of white, polar ice. “The contrast between the environments could not have been more dramatic yet, both places were experiencing huge impacts from the warming climate,” said Wofsy. And even though no major fires were burning in northern Alaska when the ATom team conducted their first mission, the researchers recorded high levels of pollution from wildfires burning hundreds of miles away, in the forests of Siberia. These consequences of global warming in the U.S. also know no borders— it affects young and old Americans, East Coast urbanites and Midwestern farmers. In addition to leading efforts to understand the systems that contribute to a warming planet, researchers at SEAS are also developing new tools and technologies to help reverse, or at least slow, the process. That includes projects aimed at generating clean power and storing it in long-lasting batteries. Eric Mazur, the Balkanski Professor of Physics and Applied Physics, has researched the properties of nanoscale structures in silicon, which have promising applications to improve the capacity of solar cells. Jennifer Lewis, the Hansjörg Wyss Professor of Biologically Inspired Engineering, has helped develop materials for carbon capture and sequestration. Professors Michael Aziz, the Gene and Tracy Sykes Professor of Materials and Energy Technologies; and Roy Gordon, the Thomas Dudley Cabot Professor of Chemistry and Professor of Materials Science, are developing non-toxic, long-lasting and cost effective flow batteries to store power from intermittent energy sources, like wind and solar. SEAS undergraduates are getting involved in the effort as well on Harvard’s campus. In an ES96 class, SEAS students worked with the university’s Office for Sustainability to evaluate approaches to climate change resilience and develop strategies to enhance the integrity of the electrical grid, cool buildings during extreme heat, and minimize damage from flooding. It’s important not to lose that optimism, said Wofsy. He and the ATom team saw something else on that first flight from California: solar and wind farms generating carbon-free electricity. Grosz honored during 19th annual Everett Mendelsohn Award Ceremony. 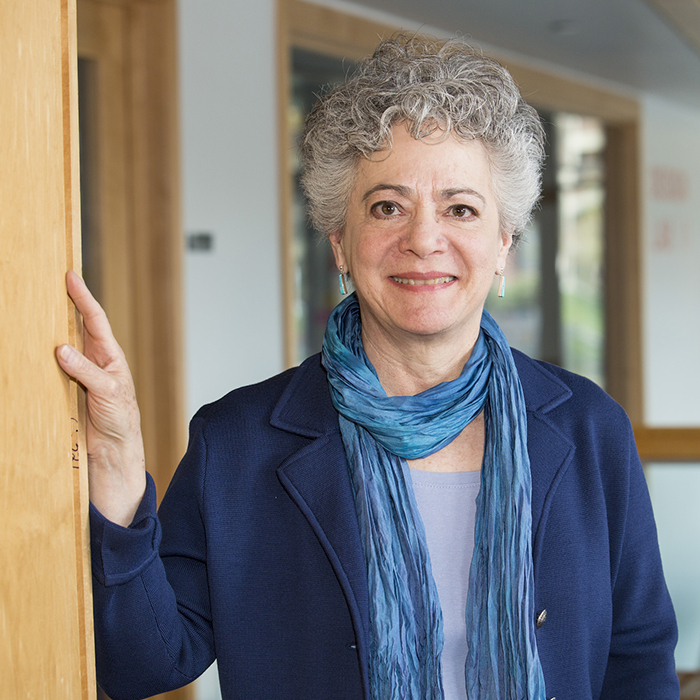 Barbara Grosz, Higgins Professor of Natural Sciences at the Harvard John A. Paulson School of Engineering and Applied Sciences (SEAS), has received the Everett Mendelsohn Excellence in Mentoring Award from the Graduate Student Council. The award, presented to five individuals this year, honors faculty advisors who have gone above and beyond in guiding students along their path to the Ph.D. Students nominate their advisors for the award, which is named in honor of Everett I. Mendelsohn, Professor of the History of Science, Emeritus, and a former master of Dudley House. 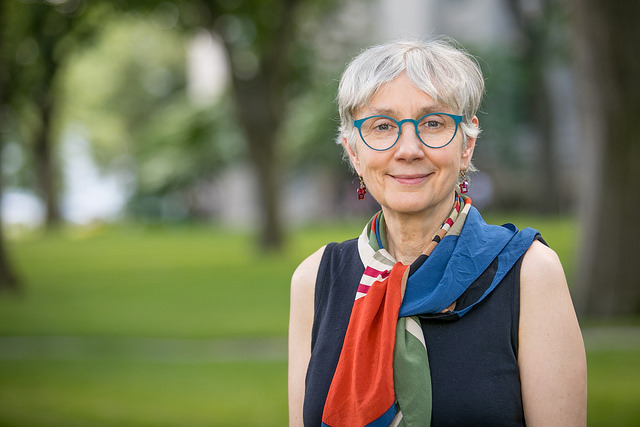 The award celebrates the essential nature of strong mentoring at the graduate level and highlights the crucial role Grosz and her fellow awardees play in fostering caring and intellectually exciting departmental communities. A pioneer in the field of artificial intelligence, Grosz seeks to address fundamental problems in modeling collaborative activity, developing systems (“agents”) able to collaborate with each other and their users, and constructing collaborative, multi-modal systems for human-computer communication. She has also played an important role as a mentor to women in science and engineering, serving on the National Academy of Sciences Committee on Women in Academic Science and Engineering and on the Association for Computing Machinery Women’s Council Executive Board. Grosz’ past doctoral students include Martha Pollack, President of Cornell University; Ehud Reiter, Chair in Computing Science at the School of Natural and Computing Sciences, University of Aberdeen; Luke Hunsberger, Professor of Computer Science at Vassar College; and Cécile Balkanski, Associate Professor at IUT d’Orsay, Université Paris-Sud. 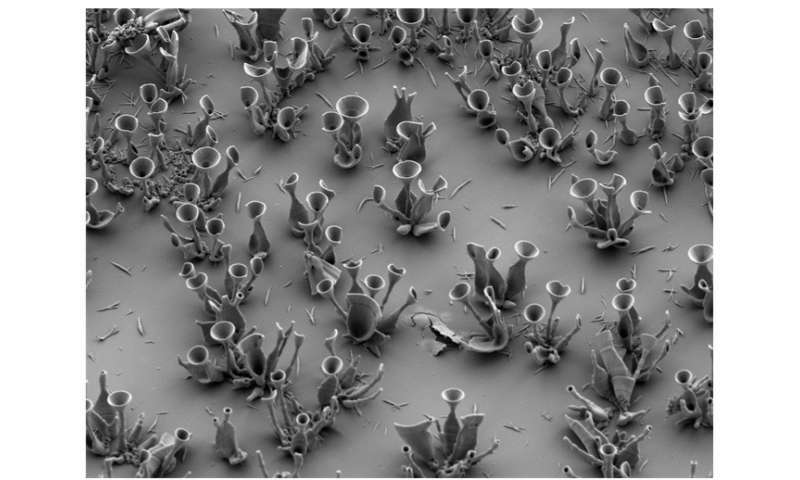 In 2013, materials scientists at the Harvard John A. Paulson School of Engineering and Applied Sciences (SEAS) and the Wyss Institute of Biologically Inspired Engineering, grew a garden of self-assembled crystal microstructures. Now, applied mathematicians at SEAS and Wyss have developed a framework to better understand and control the fabrication of these microstructures. 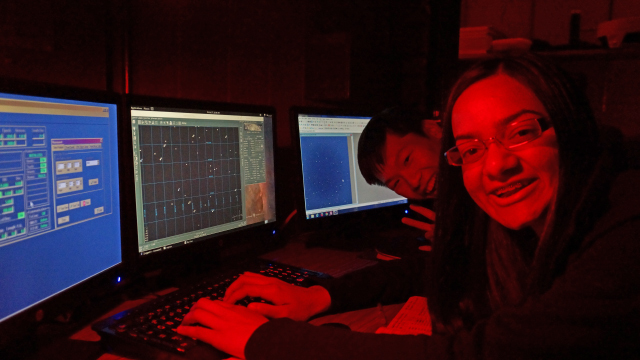 Together, the researchers used that framework to grow sophisticated optical microcomponents. When it comes to the fabrication of multifunctional materials, nature has humans beat by miles. Marine mollusks can embed photonic structures into their curved shells without compromising shell strength; deep sea sponges evolved fiber optic cables to direct light to symbiotically living organisms; and brittlestars cover their skeletons with lenses to focus light into the body to “see” at night. During growth, these sophisticated optical structures tune tiny, well-defined curves and hollow shapes to better guide and trap light. Manufacturing complex bio-inspired shapes in the lab is often time consuming and costly. The breakthrough in 2013 was led by materials scientists Joanna Aizenberg, the Amy Smith Berylson Professor of Materials Science and Chemistry and Chemical Biology and core faculty member of the Wyss Institute and former postdoctoral fellow Wim L. Noorduin. The research allowed researchers to fabricate delicate, flower-like structures on a substrate by simply manipulating chemical gradients in a beaker of fluid. These structures, composed of carbonate and glass, form a bouquet of thin walls. What that research lacked then was a quantitative understanding of the mechanisms involved that would enable even more precise control over these structures. Inspired by the theory to explain solidification and crystallization patterns, L. Mahadevan, the Lola England de Valpine Professor of Applied Mathematics, Physics, and Organismic and Evolutionary Biology, and postdoctoral fellow C. Nadir Kaplan, developed a new geometrical framework to explain how previous precipitation patterns grew and even predicted new structures. Mahadevan is also core member of the Wyss Institute. In experiments, the shape of the structures can be controlled by changing the pH of the solution in which the shapes are fabricated. When Kaplan solved the resulting equations as a function of pH, with a mathematical parameter standing in for the chemical change, he found that he could recreate all the shapes developed by Noorduin and Aizenberg—and come up with new ones. “Once we understood the growth and form of these structures and we could quantify them; our goal was to use the theory to come up with a strategy to build optical structures from the bottom up,” said Kaplan. Kaplan and Noorduin worked together to grow resonators, waveguides and beam splitters. Noorduin is now a group lead at the Dutch materials research organization AMOLF. “The approach may provide a scalable, inexpensive and accurate strategy to fabricate complex three-dimensional microstructures, which cannot be made by top-down manufacturing and tailor them for magnetic, electronic, or optical applications,” said Joanna Aizenberg, co-author of the paper. Next, the researchers hope to model how groups of these structures compete against each other for chemicals, like trees in a forest competing for sunlight. Brian Fountaine’s sketchpad is filled with detailed drawings of human organs and meticulous diagrams of scientific experiments. For the aspiring graphic designer, a rising senior at Northeastern University, the images are strikingly different from the illustrations he typically produces. 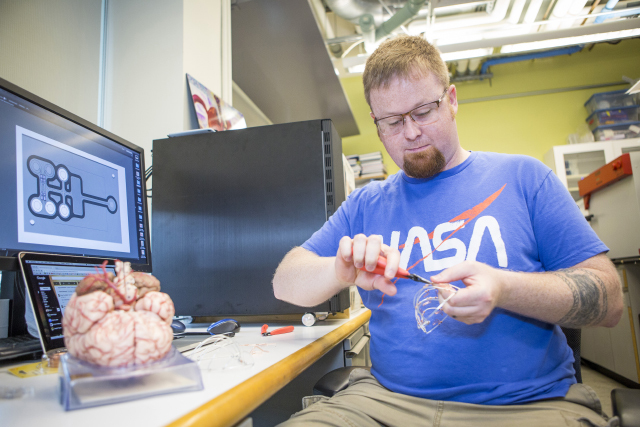 Fountaine put his creative eye to use as an artist-in-residence this summer in the lab of Kit Parker, Tarr Family Professor of Bioengineering and Applied Physics. He joined the lab as a participant in the Research Experiences for Undergraduates program, which enables college students to work on scientific projects in the labs of Harvard researchers. For the 34-year-old, working in a research lab at the Harvard John A. Paulson School of Engineering and Applied Sciences has been both surreal and unexpected. Growing up in a tight-knit blue-collar family, Fountaine never planned on attending college. Immediately after graduating from high school, he enlisted in the Army, deploying to Iraq with the initial post-9/11 invasion in 2003. During his second deployment in 2006, tragedy struck. While on patrol near Baghdad, the Humvee he was commanding detonated a pressure plated improvised explosive device. The resulting blast blew off Fountaine’s lower legs. It wasn’t easy. Lacking any clear goals, Fountaine sunk into a deep depression. He had planned on making a career out of the military, but that dream had been shattered. Fountaine’s wife, Mary, finally convinced him to give college a chance. “My whole idea of what college life was like came from movies like ‘Van Wilder’ and ‘Animal House.’ I thought it was a big joke,” he said. Using the Army’s vocational benefits, he enrolled in Cape Cod Community College and quickly found that higher education appealed to him. He added more and more classes until he was full-time, graduating with as associate’s degree in graphic design. He transferred to Northeastern University to complete a bachelor’s degree. Fountaine started at Northeastern shortly after the Boston Marathon bombing, a devastating tragedy that struck especially close to home for the double-amputee. He began sneaking into the hospital and meeting with survivors who had lost limbs, sharing words of encouragement and advice. As he developed close relationships with injured civilians, Fountaine learned about their struggles to afford prosthetic devices. Military benefits covered his medical expenses, but these individuals often had to make sacrifices to afford prosthetic devices. Fountaine wanted to help, and saw 3D printing technology as a potential solution. Printing limbs from durable carbon fiber could be significantly faster and cheaper than current processes. He submitted a proposal to the Ford Motor Company’s College Community Challenge, and won $35,000 to purchase 3D printers and software for the project. His work caught the attention of the local press. Parker, an Army combat veteran, read Fountaine’s story and was inspired by his dedication to help others. He reached out to Fountaine and invited him to join his lab group for the summer as part of the REU program. Fountaine spent the 10-week program working closely with researchers in the Parker lab, documenting experiments and drawing diagrams and figures for research papers. He created acrylic diagrams of organs, carefully colorized microscopic images, and enhanced computerized illustrations of organs on a chip. That research, in particular, resonates with Fountaine. Organs on a chip could enable physicians to run drug screens through a microchip to see if they would be effective or have negative side effects on a specific patient. Another project that piqued his interest focuses on nanofibers to improve wound care. That’s not to say that the work is always easy. Creating detailed figures for journal articles, for instance, requires one to stick to a strict set of design parameters. Fountaine, used to more artistic freedom, has had to tailor his personal style to the needs of the researchers and publications. But he still squeezes in a bit of artistic flair wherever he can. As he’s learned more about science, he has seen striking parallels between the scientific world and the artistic one. While Fountaine has enjoyed his time in the Parker lab, he is already looking to the future. 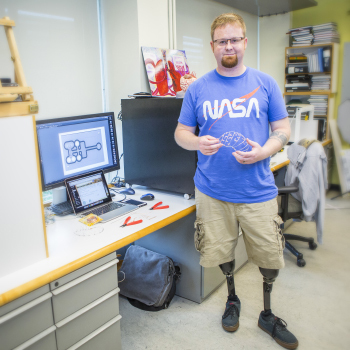 With one year of college left, he is hoping to launch a nonprofit organization to develop 3D-printed prosthetics. The experience in Parker’s lab opened his eyes to the power of science, and has helped him to understand some of the principles of engineering, lessons that will be critical as he works with mechanical engineers to develop effective and affordable 3D-printed prosthetics. He hopes his story can inspire other injured veterans to pursue an education and take on large-scale challenges.